My husband and I were incredibly lucky to have had the amazing opportunity of experiencing the Silver Muse for 10 nights. This was the most luxurious ship we have ever seen and it was the most spectacular cruise we have ever experienced! I will do my best to put into words just how amazing it was. I can only urge you to experience the magic that Silversea offer yourselves! On arrival in Darwin, It was a very quick embarkation process and we were on La Dolci Vita lounge deck 5 where we checked in and were given a flute of Champagne and were escorted to our Suite where we were greeted by our butler Terrence. Silversea is an all-suite ship and each come with a butler that is there to assist you with anything you may need from dining reservations to laundry to even unpacking your suitcase. He was wonderful, nothing was too much trouble. When the room opened you had to pick my jaw off the ground at the sheer size of the suite it was unbelievable. It had a marble bathroom with a separate full size bath and a corner shower that even had a rain shower! The walk in wardrobe has a tallboy with plenty of space to completely unpack and pop your suitecase away. 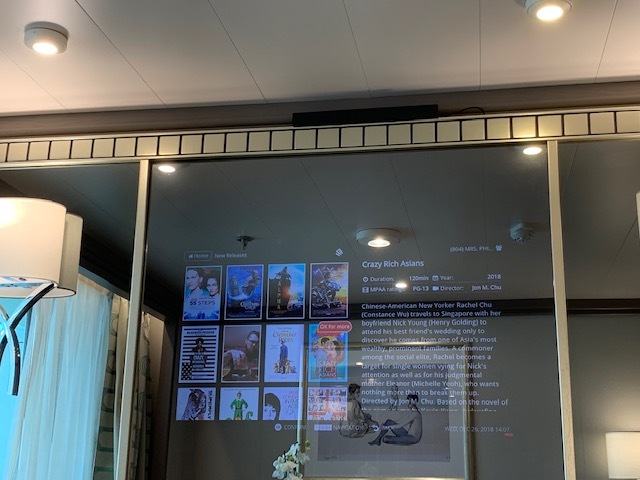 There was a queen bed and opposite a mirror with a Tv inside it. There is a curtain to separate the lounge area with another Tv in the mirror and a couch, marble table and separate leather seat. I would describe Silversea as understated luxury. The ship is so beautifully fitted out with neutral tones, gold staircases and stunning art pieces that are displayed throughout. It has a nice easy flow and It is very easy to find your way around and feels more like a boutique hotel than a ship. I did sample all the dining the ship had to offer and I can honestly say it’s the best cuisine I have ever eaten and the 5kg’s I put on can attest to that! One of the highlights was the specialty restaurant ‘La Dame’ by Relais and Chateaux which was elegant and refined and for a mere $60USD per person it was an incredible experience and an absolute must to do! It is recommended to book this early with your butler as it is extremely popular. As is Silvernote, the hidden gem on the Muse which open from 8pm-12am its tucked away on deck 7 and offers an intimate setting for dinner with small tapas style dishes whilst being entertained by a Jazz singer and pianist. It also is reservation only and complimentary but I do recommend getting in early to book this as we were on a waitlist for 5 days! Dinner is usually a 2 hr sitting and if you haven’t made a dinner reservation from 10.15pm onwards you can pop in and sit at the bar enjoy a cocktail and enjoy the entertainment. The complimentary restaurants were all wonderful and offer different styles of food. La Terrazza, Italian, Indochine, Asian fusion, Atlantide, Seafood. 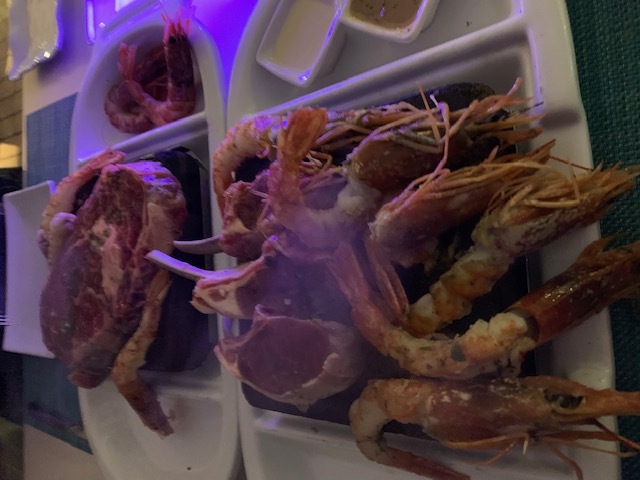 All the food was outstanding so fresh and delicious with an extensive menu and so much on offer but one of my favourites was ‘Atlantide’ and the lobster tail with drawn butter paired with a crisp Sauvignon blanc. 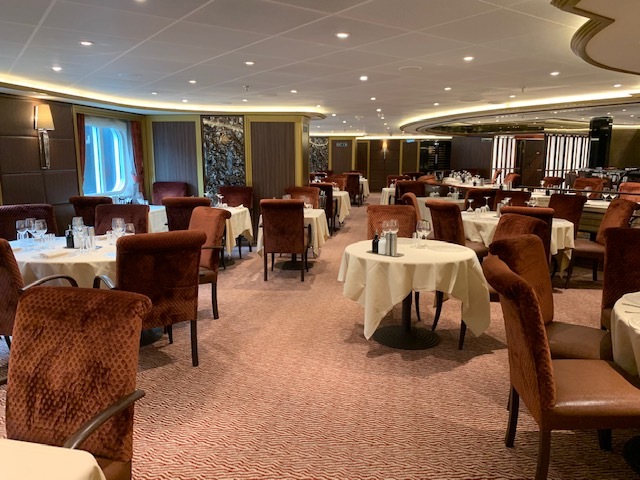 Silversea is all inclusive with their wine and spirits and it only heightens your dining experience when the sommeliers brings over their recommendations for you to try with your dish. If you did have a preference of preferred wine they were more than happy to accommodate. 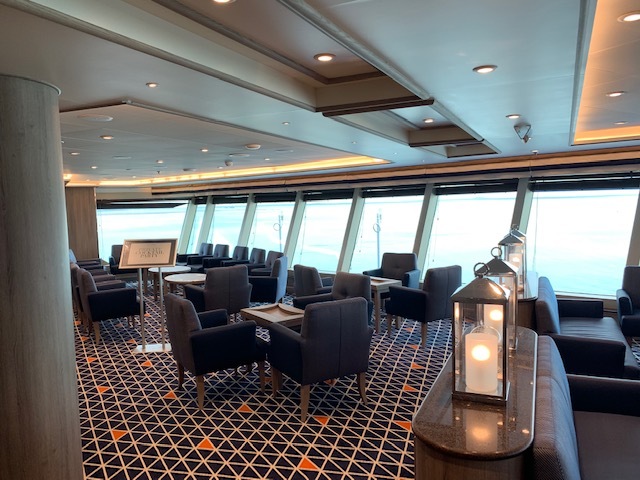 The bars and lounges throughout the ship were comfortable and inviting. During the day you can always find a lovely quiet spot to read in the Tor’s Observatory which is a library through the day and a lovely little bar at night or the Panorama lounge which had so many uses from dance classes and a quiet spot to read during the day and from 6pm the musicians start playing for those to enjoy a pre-dinner drink and later in the evening the DJ carries on for post dinner entertainment. One of my very favourite places onboard was the very cosy Arts Café located deck 8 aft with leather lounges and art deco chairs and fantastic contemporary art pieces I did spend quite a bit of time here. They provide daily sudoku and crossword challenges as well as a daily trivia questions to keep you busy. In the morning this is where I would come for my coffee hit and pick up a quick muffin or croissant for breakfast. They offer light lunches, an array of teas and of course high tea was also served here at 3pm where I would enjoy a lovely glass of Pommary and a scone whilst watching the world go by. 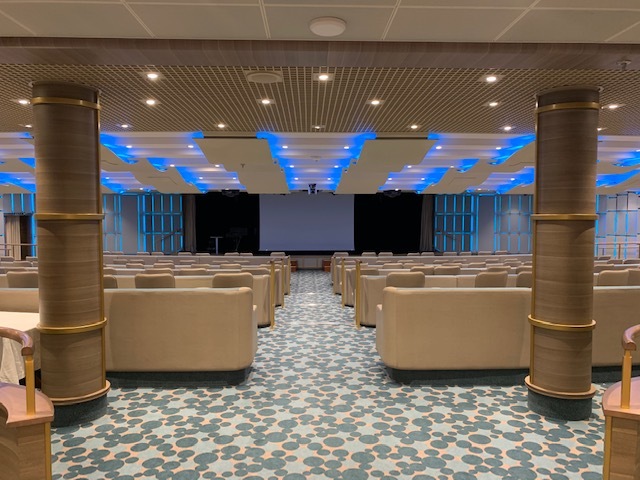 I believe what made my experience so incredible is the small understated details that you don’t receive on larger cruise lines and don’t think to think about but when you get them you just say wow! For example as Brett mentioned, not having to hand over your card when getting a drink. Or being handed an umbrella when going ashore and it’s raining and having cold bottles of water handed to you when your coming back onboard. When having a cup of tea being provided a little dish to pop your tea bag in. There is never a que, there is never a crowd and Its those small touches that really elevate your experience. And what makes Silversea so special is their staff. They really are the heart of what makes this cruiseline so magic. Every one of them were so friendly and courteous they were so attentive in an understated way. The service was pre-emptive and personalised and they were already handing you your favourite drink before you even asked for one. They are really ensuring you have the most amazing experience. They truly are sensational! The next time you are looking for that special trip, please have a look at what Silversea have to offer it really is value for money and absolutely worth every single penny! Good on you Kara you really deserve a great experience like that, your real feeling for the ship comes through in your report and it couldn’t happen to a nicer person. WOW! Sounds amazing. We've travelled Silversea before, and this sounds top notch. Looking forward to our cruise on the Silver Muse in April in Japan.